The Register of the Anglo-Boer War 1899-1902. The Register is the premier research resource for everyone interested in the participants of the Anglo-Boer War. ** Looking for help with Research? Read this cautionary tale. then check out my Research Services and email me! Latest blog: Lord Roberts' Bodyguard, read here. Why The Register is the best source on casualties, read here. Check out the new free searches in The Research Centre. These searches provide new and unique ways to look at the data that makes up The Register. To find out about the scope, costs and how to use The Register click here. On The Register you can check the Queen's South Africa entitlement for all cavalry regiments, the Imperial Yeomanry, Scottish Horse, Lovat's Scouts and many other thousands of men and women - look for 'ME' when you search for a name. Searching for a photograph of a soldier? Try British Army Ancestors. A link is provided from the detail record in The Register on all British Army soldiers on this site. In addition books, medals and now Research can be purchased directly from the website too. 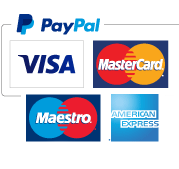 Payment can be made instantly using your credit card through Paypal. We hope you find this website useful, informative and easy to use.